← N6132G Cessna 172N receives a few big updates. After a seemingly endless busy summer with no breaks, my wife and I decided it was time to getaway for some much needed rest. For several years we’ve talked about visiting the coast and do some airplane camping. So, on a beautiful Thursday, we loaded our gear behind the cargo net in our trusted 1957 Cessna 182 and headed for Nehalem Bay. 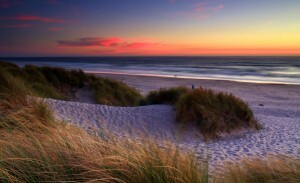 This fly-in camping airport is located just 56nm west of Portland and 1.5 miles south of the town of Manzanita. 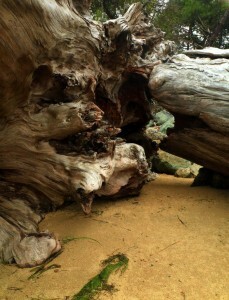 It is operated by and part of the Nehalem Bay State Park. After planning a GPS direct route from Paine Field, we opted to deviate over to Astoria and fly the scenic coast, mostly to avoid the mountain induced afternoon turbulence. Our flight took just 1 hour and 15 minutes. The approach to runway 33 was normal with a steady 10 knot left quartering headwind. As advertised by several other pilot reports, we encountered a bit of a bumpy sinker on short final which a little throttle took care of nicely. The runway itself is 2,350 feet long, 50 feet wide, paved and in very good condition. Taxiways and parking are mostly gravel with some grass. The windsock is well located towards the north end and situated in an open area. Landing on 33 and taking off on 15 is preferred unless the wind is really blowing. As luck would have it, and good planning on our part, the weather was absolutely perfect. A nice high pressure was in place, 82 degrees under blue skies, and manageable winds. Friday was also forecast to be the same with a weather shift due in on Saturday and better conditions for Sunday. Our plan was to depart on Sunday if the weather cooperated. If not, I’d put my wife on a Portland to Seattle train and I’d wait it out or come back later if needed. If you have to be back home Monday, make sure you have a backup plan and never push the weather. The airport’s 6 camping spots are for aircraft only and available on a first come first serve basis. If it’s a nice summer weekend, I would recommend a Thursday or early Friday morning arrival. When we taxied up, campsites #1 and #6 were already taken so we picked #5 and setup our camp. We then explored the area and found that each site has good airplane parking in front, a level tent area, a picnic table, and a fire ring. Sites 1-3 are great for a group fly-in as they are close together. Sites 4-6 have a little more privacy with site 6 completely shaded all day. The camp area also has one shared potable city water source, several trash cans, and a port-a-potty. There is no electricity on the airport. Camping is $11 per night which also allows you the full use of the State Park and its facilities. Free hot showers are just a 10 minute walk to the park. There is a pilot sign-in register and pay station. Please sign the register as this helps determine funding for the State run airports. We then took the dogs and explored the State Park. We picked up a couple of $5 wood bundles at the ranger station and headed back to our camp for dinner, a fire, and some excellent wine. This is where a nice little collapsible wagon would have come in very handy. Two wood bundles become quite heavy after half a mile walk, but I toughed it out. After dark we retired under a star filled night with only the sound of the distant Pacific Ocean surf. Friday morning found us under a beautiful sky and calm winds. We brewed coffee, cooked breakfast on our camp stove, and made plans for the day. I took our English springer spaniel, Rooney, down to the bay beach at the end of runway 15 for some sandy exploration and good old fashioned seagull chasing. Well Rooney did anyway; my seagull chasing days are over. We then headed the 1.5 miles into Manzanita for a look around and some lunch, stopping briefly to observe two fawns along the road. Manzanita offers a variety of shops and restaurants. After some shopping at the local pet store and dog watering hole, we stopped at the Sand Dune for lunch. We heard they offer outside patio seating with accommodation for dogs and sure enough, Rooney and Lucy were welcome and were provided their own water bowls. The cold beer was refreshing and the food was excellent as well as the service. I had the fresh cod salad and Tracy had the fish tacos, highly recommended. Next stop was the local grocery store for some additional items for the cooler. Here I purchased the one folding camp chair left in Manzanita captivity. Can you believe we went camping and I forgot to load our camp chairs in the airplane? Don’t check it off the list until it’s loaded. So much for good planning. We then hoofed it back to the airport, stoked up the fire, and made some new friends with our neighbors. Bernie and Laurie were camping in site #1 with their beautiful 1975 Maule and their golden retriever Sedona. Rooney and Sedona spent substantial time arguing over the camp tennis ball. We also met Dan and Lisa with their two young daughters who flew in with their nice 1966 Cherokee 180. We sat around and got to know everyone rather quickly. Airplane people are great to meet and visit with and there’s always lots of comradery with many common stories to tell. We came away with a strong desire to hook up with them in the future. What a great way to meet new friends. Bernie and Laurie decided to head for home that night as they needed to be back Saturday and the weather was going to turn in the morning. Good planning. That evening we trekked over to the Ranger station to drop off my cell phone for a courtesy recharge, and then to the beach for a nice sunset photo session. When the sun goes down, grab a sweatshirt and a hat as it can quickly get a little chilly at the beach. Saturday morning’s weather was as predicted, low fog in the trees and a misty light wind, but a great day to hang out with a good book by the fire. The weather lifted a bit later and suddenly a Grumman touched down on the runway, taxied back and parked in front of campsite #1. The pilot jumped out, looked at me and said’ “I know what you’re thinking, but I found a hole!” Drew and his wife had ventured from Scappoose in the hopes of spending a night on the coast. He said he almost gave up and headed home when he saw a rather large hole with the ocean in view and made an easy descent into Nehalem Bay. Later that day we ventured on another hike past the horse camp and out towards the North Jetty, which is actually south of the park. Seeing that it was a 2 mile hike and our Shih Tzu, Lucy, would never make it with Tracy not wanting to carry her, we turned around to head back. We promptly came face to face with a curious coyote 50 feet down the trail. Rooney was very tough and quickly retreated behind Tracy. After the coyote had his fill of us he disappeared back into the coastal thick pine trees and Rooney was able to take up the lead once more. The Park Ranger did warn us earlier to keep the dogs on a leash because of the coyotes and rare cougar sightings. We decided to return to camp via the inside bay beach for some additional exploration and photo shoots. Along the way we saw another beautiful rusty colored coyote among the driftwood. Once we approached closer he quickly disappeared as well. Back to the Ranger station I went for more wood and another evening fire with a delicious camp dinner. No wine for me tonight as we are planning on flying home tomorrow. Sunday morning saw a similar weather pattern as Saturday, although ceilings were a bit higher. Forecasts called for coastal low clouds breaking up to partly clear by late afternoon. Inland was forecast to be clear all the way home. However, by 10am the coast was breaking up rapidly and by noon it was totally clear. After a late breakfast, we broke camp, packed up, and watched Drew and his wife takeoff for home. We walked over to the park for a final welcome shower. I sat with the dogs, filed my flight plan, and caught up with some emails. I know, I’m supposed to leave work at work. Back at camp we finished loading the airplane, completed a pre-flight, and headed out. Takeoff was with a 2-3 knot tail wind and just a little choppy after lift off from the light rotors over the trees. Climb out over the beach was smooth as silk with a magnificent view as far as you could see. We traveled the scenic coastal route up to Hoquiam, then inland to Shelton, Bremerton, and home to Everett. Inland turned out to be high overcast with the occasional sprinkles, leaving the sunny coast behind us. All in all it was much more enjoyable and relaxing than I was expecting. The coast can be a bit of a challenge with its often changing weather conditions. But with planning, a little patience, and a backup plan, it produces unforgettable fond memories. When we landed at Paine Field, Tracy turned to me and said, “Take me back to the beach”. It was very tempting. This entry was posted in Airplane Adventure Series, Camping. Bookmark the permalink. A Division of Morcom Aviation Services, Inc. | All contents © 2017 Regal Air. All Rights Reserved.